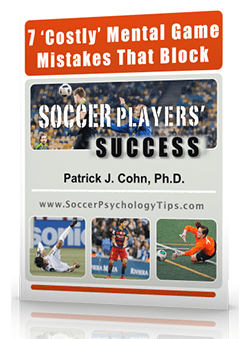 Your greatest weapon when playing soccer is your mind prior to and during the game. 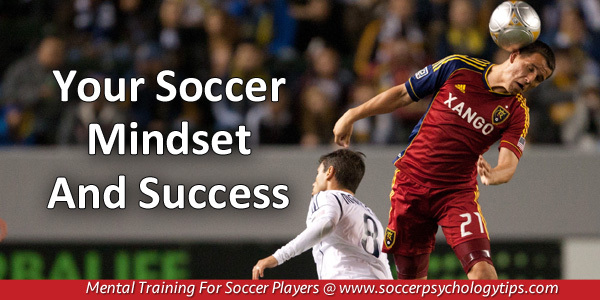 Your mindset is how you mentally approach and prepare for soccer. When you have an effective mindset, you have belief that you can win games, or at least compete at a high level even against very good teams. Negative thoughts will creep in for you, but the goal is to have most of your thoughts enhance confidence and have the ability to refocus when negativity creeps in. A positive mindset reduces anxiety prior to games, allows you to play freely or intuitively on the pitch and keeps the focus on the task at hand. A positive mindset not only affects how you approach games, but also how you approach practices and training sessions. When you have intensity and drive, you train hard and compete in practice rather than merely being physically present in practice. When you have a strong mindset, you are passionate about competition and enjoy playing your sport, both of which contribute to your success as an athlete. Is your mindset helpful or hurt your game? The truth is your mindset is a choice. YOU control your mindset. Your mindset is something you foster by your decision of where to place your focus. Focus on fear, deficiencies in your game, mistakes, comparisons or the negative criticisms of other, you will grow a negative mindset… and that negative mindset will show in your performance during games. Focus on your strengths, effort in training, successes and your will to improve your game, and you will cultivate a positive mindset. A positive mindset will produce positive results in games. Positive results don’t always mean wins; it means playing aggressively, playing to your potential, competing throughout the game, never giving up and making plays. 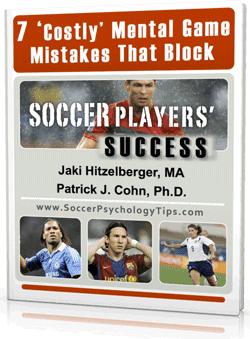 One example of how mindset affects play on the pitch is the Arsenal FC. The Arsenal has an abundance of talent, yet has under performed in 2017. Arsenal forward, Alexis Sanchez, has been vocal and frustrated by team’s failure to challenge for the Premier League title and blames the team’s negative mindset for holding them back. The Arsenal made a concerted effort to change their mindset and the results have been significant. The Arsenal turned their performance around at the end of the season winning four games in a row and finished their season on a positive note by beating Chelsea in FA Cup final. Change your mindset… change your game! “Competitive” means to compete or to make a full-out effort to be successful. You can improve your mindset by getting into the habit of competing at your peak all the time. Start competing in practice… push during drills, race to the ball, play aggressively during scrimmages, etc. As you start winning battles, finishing first during runs, hustling in games, you will notice that your mindset changes… and the results will be positive! 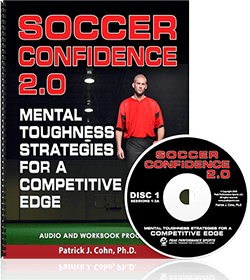 Learn all my mental game strategies for mental toughness in soccer with “Soccer Confidence” CD and workbook program.